There are many misconceptions when it comes to obtaining citizenship or permanent legal status in the United States today. Many of the people who believe that there is a clear path to apply for citizenship also tend to assume that it is a quick and easy process that is accessible to every undocumented immigrant in the U.S. I see these misconceptions being perpetuated on a daily basis in social media, news outlets, and even casual conversations across the Rollins campus. The truth is that the process to obtain U.S. citizenship varies with each particular case and it may take years before citizenship is granted. Additionally, applying for permanent residency or citizenship does not necessarily result in legal status for all applicants. Several things can complicate an immigrant’s application: a criminal record, an accident, marriage issues, and asylum petitions. I learned about all of this last summer when I interned as a paralegal assistant at Ganjoo Law in San Francisco, a small immigration law firm where I worked alongside immigration attorneys and learned about fascinating cases that reflected the complexity of obtaining legal status. One of the many cases I worked on at the firm involved a Guatemalan woman who had unlawfully resided in the U.S. for more than a decade. She had started a process through the law firm to change her legal status. During one of her appointments, I was there to help translate to prepare her for her court date. We went over her personal statement on why she had fled her country of origin. Although gang violence was the main reason why she had left Guatemala, this was no longer a valid reason to apply for asylum in the U.S. In June 2018, Attorney General Jeff Sessions announced that domestic and gang violence would no longer be grounds to apply for asylum. The immigration attorney I translated for asked the woman to think deeply about the encounters she had with the gang members who murdered her brother and threatened her. After some questioning, we were able to conclude that she had been targeted and harassed by the gang members for simply being a woman. She shared how a gang member violently pushed her while pregnant, threatening to cut her stomach open and kill her unborn child. She began to cry as she remembered traumatic episodes and offensive words that gang members would say to her. The lawyer determined that the derogatory slurs she was called while pregnant were enough evidence for the judge to consider gender-based violence as another factor for the woman’s asylum plea. Although gender-based violence is not recognized by U.S. Citizen and Immigration Services (USCIS) as an eligible reason to apply for asylum, immigration lawyers emphasize it to highlight the persecution that women endure for simply being women. Her case was denied by the judge and she was sent back to Guatemala, a country she no longer considered home and where violence awaited her. Through my work at this law firm, I learned about the complexity of immigration law, especially under our current political climate. I learned that some clients live out-of-state and travel for hours to Ganjoo Law in San Francisco to get legal help. I also learned that the place where one files an immigration case may determine whether or not they get approved or denied. 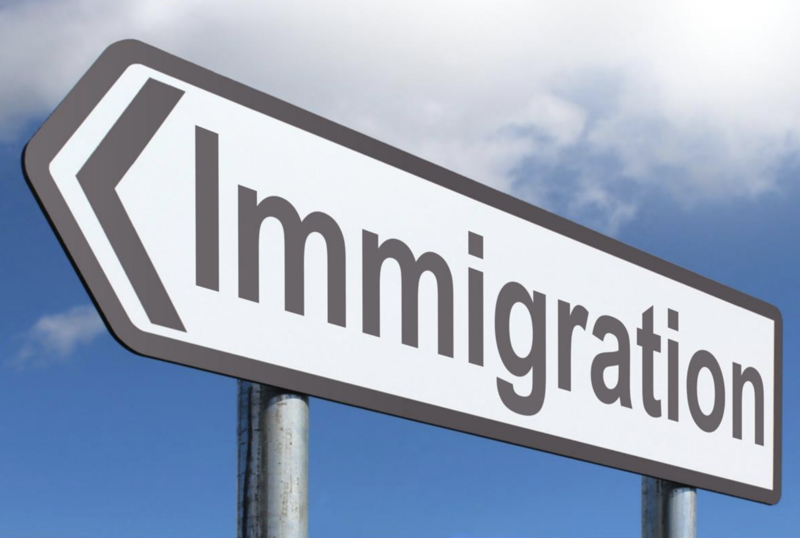 An immigration attorney must know how to build a strong application by understanding legal requirements and the information provided by their clients. Based on the many cases I helped with at Ganjoo Law and personal experiences with family members, filing cases to obtain legal status do not always guarantee anything for applicants. Cases take years to be reviewed by immigration officers and, in the meantime, undocumented immigrants live in legal limbo, fearing deportation. The path for legal status is not as straightforward as many assume. Therefore, there is a need to challenge these misconceptions and expose the realities of how difficult it is for immigrants, like the one mentioned above, to obtain legal status in the United States.